Revisional Bariatric Surgery – V.E.Andrei, M.D. 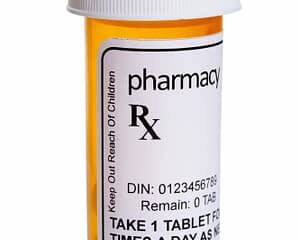 Refers to a form of weight loss treatment that follows a previous weight loss surgery that did not lead to the desired level of success. The outcome of bariatric surgery is generally quite good; however, not all surgeries produce the results that a patient originally anticipated. This can be more common with the more outdated operations. For patients who have had bariatric surgery performed in the past and are unhappy with the results, revision surgery may be an option. This type of surgery is performed to alter or repair an earlier bariatric procedure. 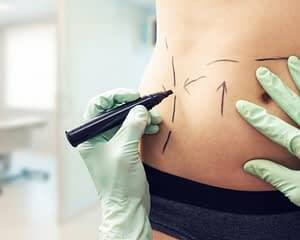 The most common reasons for revisional surgery are medical complications, excessive weight gain since the initial operation and to increase the rate of weight loss. 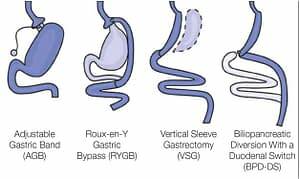 Staple line compromised (As with VBG(vertical banded gastroplasty/stomach stapling) or Roux-en-Y (Gastric bypass) Stomach band has dilated over time or has broken (as with VBG). Persistent vomiting (as with VBG or Roux-en-Y) | Ulcers (as with Roux-en-Y) | Slipped band LGB (Lap Band). Revisional bariatric surgery can be a complex operation. Regardless of the complexity, however, revisional surgery can still be a beneficial operation for those individuals who face greater health hazards as a result of their morbid obesity. 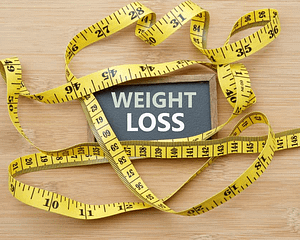 Contact Dr. Andrei to schedule a complimentary consultation to assess if this weight loss procedure is an appropriate surgical option for you.